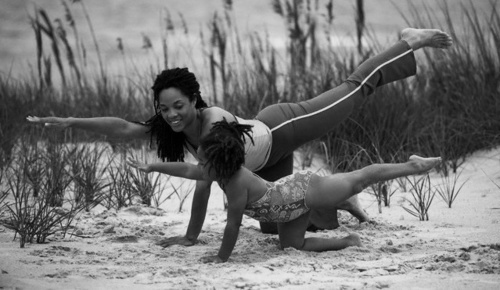 Weeks seven and eight of Yoga Tree Teacher Training! The breath. 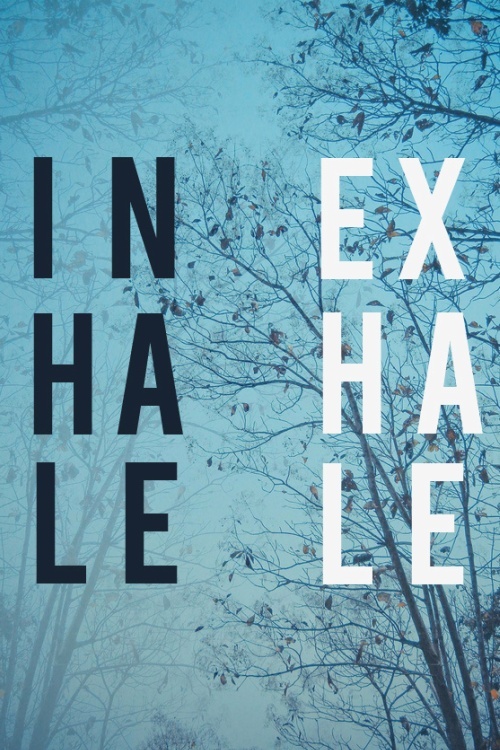 Inhale. Exhale. The vitality of the breath; the peculiarity distinguishing the living from the nonliving. Yoga without awareness of the breath is simply stretching. Prāṇāyāma – the Sanskrit word meaning extension of the prāṇa or breath or extension of the life force. There are three lobes in a human lung and they have the capacity to hold approximately five cups of air, but the average person only breathes in one cup into one lobe. There are over fifty pranayama techniques to deepen the breath and gain access to the life force of prana. 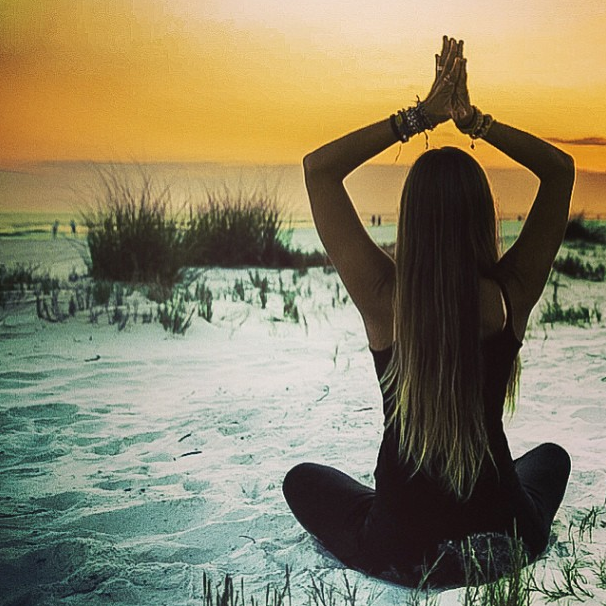 Several studies show that pranayama techniques are beneficial in relieving a range of stress-related disorders, improving autonomic functions and reducing signs of oxidative stress. One simple method is to add one second to each exhalation, so your exhalations grow increasingly longer than your inhalations. This is a quieting, calming breath pattern that combats stress. The practice of pranayama breathing is a catalyst for deepening meditation and yoga. Here is a helpful article that profiles pranayama within six of the major yoga traditions: Prescriptions for Pranayama. 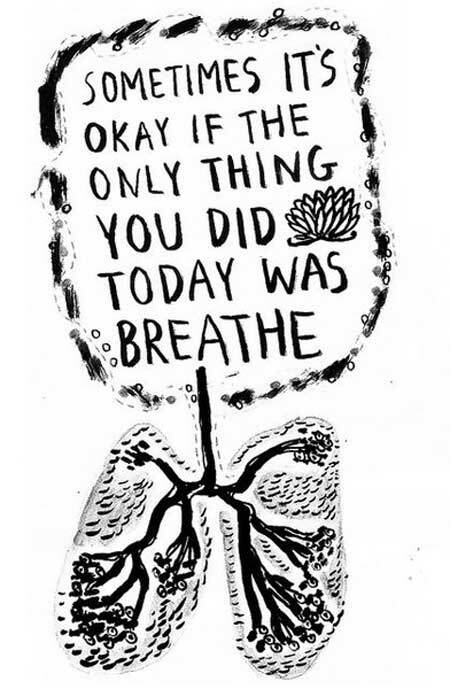 It seems so simple, but we constantly have to remind ourselves to just breathe. I came across this the other day and I’m finding it helpful when I find my thoughts obsessing about alopecia… B.R.A.K.E., don’t break down. Alopecia and anxiety go hand in hand – Why did this happen? When will it grow back? What if it doesn’t? Will it happen again? 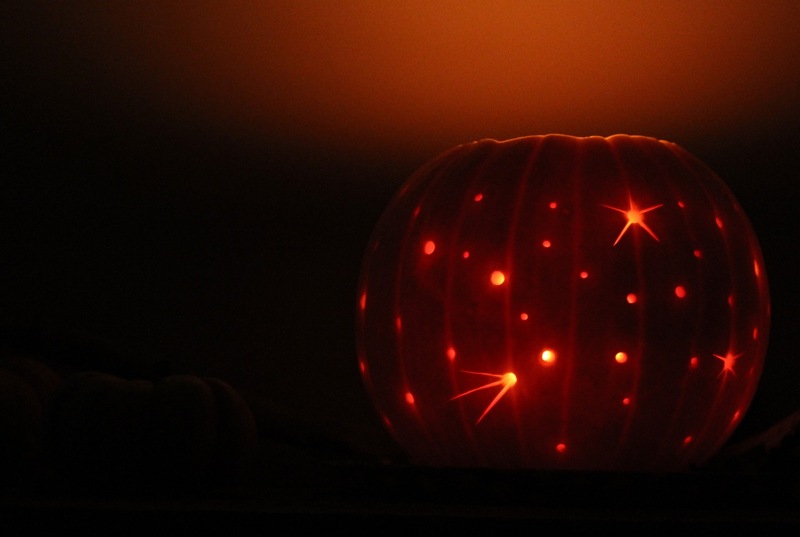 Why did it fall out in those areas? Why is it growing in those areas? Could I have prevented this? Will I pass this on to my children? Is it really linked to diet? Gluten? Dairy? Trauma? Stress? Pregnancy? Labor? Which treatments? Side effects? Why isn’t there a cure? Hat? Scarf? Wig? Nothing? Why now and not when I really felt stressed? Why? I know how difficult it can be and please know that you are not alone in the challenges of living with alopecia. Nietzsche said: ‘what doesn’t kill you makes you stronger.’ It may be a part of your life, but alopecia doesn’t have to define you. Like the spirit of Dia De Los Muertos, the loss can be celebrated… no doubt this is making you stronger and more resilient. Week six of Yoga Tree Teacher Training. I missed Friday night’s lecture because I was feeling sick along with my two sick babies;( Or in yogi speak, one isn’t ‘sick’ they’re ‘cleansing’ their bodies. I’d heard of this before and finally tried it: Oil Pulling. Highly recommend. My sore throat was gone by the next morning! Coconut oil seems to be the miracle product of nature for healthy hair and skin. Ingesting it, pulling it and applying it are all recommended. There may not be a cure for alopecia, but there are a ton of remedies. Topical treatments and injections. Acupuncture and hypnosis. Vitamins and Minerals: folic acid, biotin, vitamin A, vitamin B6, vitamin B12, vitamin C, vitamin D, vitamin E, iron, copper and zinc. Plant extracts: tea tree oil, he shou wu, nettle extract, saw palmetto and gotu kola. Essential Oils: Rosemary, Lavender, Cedarwood and Sandalwood – mixed in a base of either vitamin E, jojoba, or olive oil. Apple Cider Vinegar, Coconut Oil, Onion Juice? Finding the right combination is the hard part since each case is so unique; what works for some does not work for others. Trying it all and staying positive… fortunately, I’ve had about 90% regrowth. For the most part, they were all in the ideal form of the poses, but they are of a split second captured by film. The general form is 99.9% of the time; it is the presence of working toward the proper alignment of a posture. It is a practice of aligning the mind, body and spirit that doesn’t need to take place on a 2’x7′ overpriced rubber mat, or in a yoga studio. Or in lululemon. I believe yoga can be practiced throughout the day because it is any moment that is experienced with mindfulness. 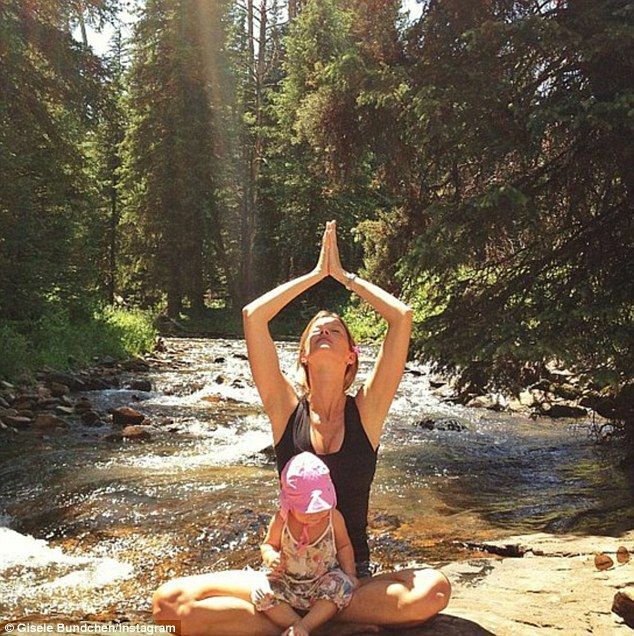 I was drawn to photos of elderly yogis and moms with their babies, (or model moms with their model babies), in general yoga poses because this is what I find truly inspiring. 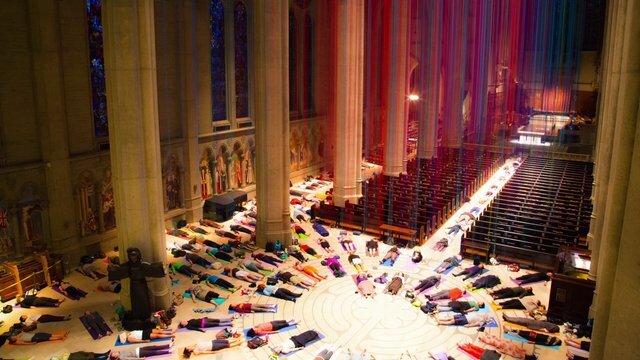 Earlier this week I had the opportunity to attend the weekly Yoga on the Labyrinth practice at Grace Cathedral, (taught by one of my Yoga Tree teachers), for the first time. It starts at 6:15 pm and I entered right at 6:14 pm. The hour prior was filled with a bit of chaos – two crying babies as my fiance arrived home and we passed the torch so to speak. Crazy traffic at the Golden Gate Bridge and all along what I thought would be a less traveled route to the cathedral; then a few circles around the block until I finally found a parking spot. I raced to the front steps of the cathedral only to find a construction fence and the grand entry torn up for renovations. I spotted the street level door, ran up the stairs and emerged at the back of the altar. Stepping into the space took my breath away and the stress of the chaotic travel immediately melted away. I moved to the Bay Area in 2007 and can’t believe this was the first time I visited Grace Cathedral. Beautiful. And packed. I’ve heard it draws a crowd, but I didn’t realize there would be hundreds of people! I found a spot several bays back from the labyrinth, unrolled my mat, the live music began and I enjoyed one of the most sacred experiences I’ve ever had. The last bit of sun illuminated the gorgeous stained glass windows and filled the vast space with a warm glow for a relaxing and meditative evening. Plus, I was able to catch up with a friend after and have a glass of wine together… which I believe is also yoga! 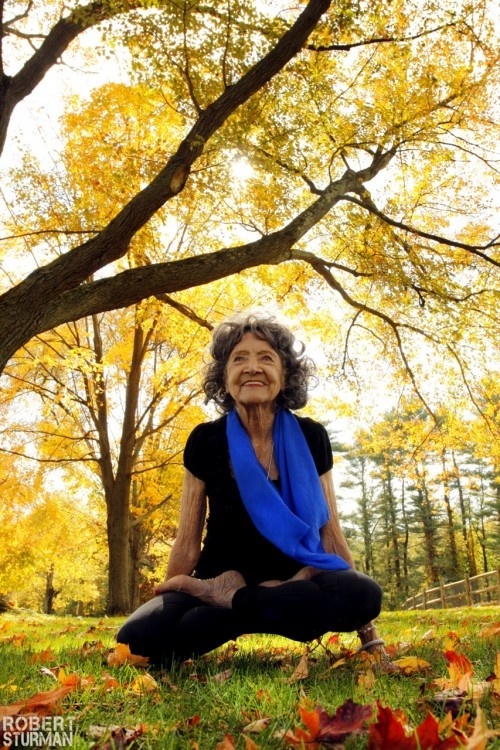 What I find so incredible about yoga is that it transcends. 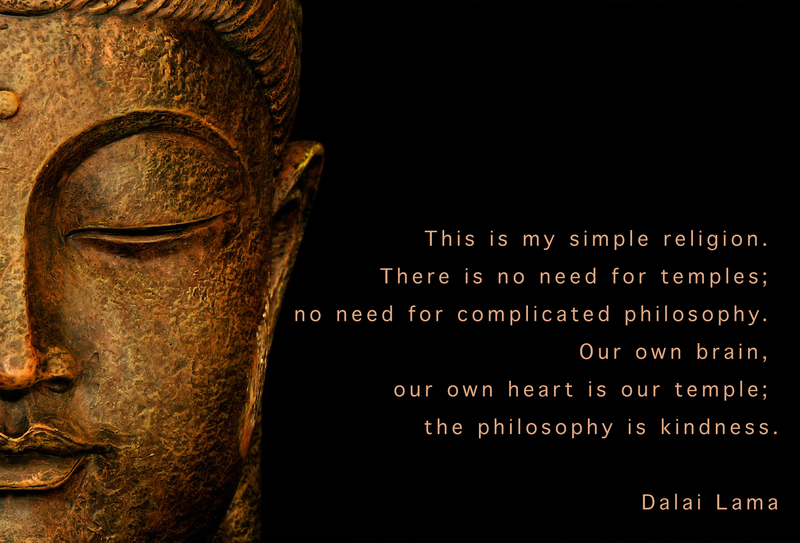 It has the ability to cultivate a deep spirituality, but it is not a religion. 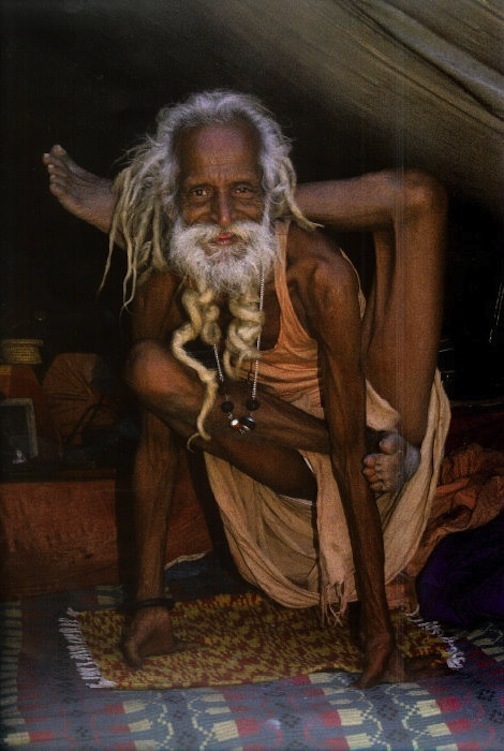 Yoga has its roots in Hinduism, but there are no limitations on who or where one practices yoga. Race, sexual orientation, religious beliefs and political affiliation means nothing in yoga, which makes it such a uniting force for all humanity. 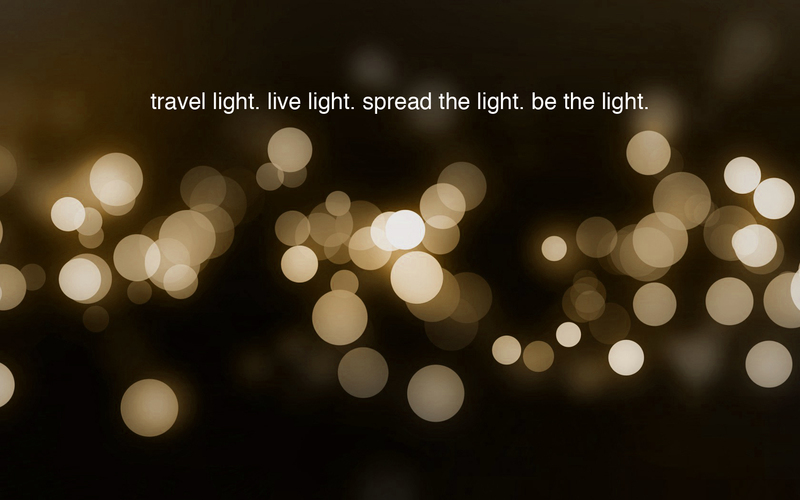 Prana: Sanskrit for life force. 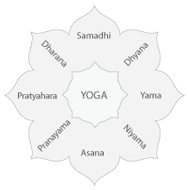 Prana is the universal principle of energy or force, responsible for the body’s life, heat and maintenance. This force is dynamic and flowing; when this flow is blocked or slowed, disease and dysfunction occur. Week five of Yoga Tree Teacher Training: Kundalini Yoga, Chakras and Alignment. “Kundalini Yoga consists of active and passive asana-based kriyas, pranayama, and meditations which target the whole body system (nervous system, glands, mental faculties, chakras) to develop awareness, consciousness and spiritual strength.” —Yogi Bhajan. 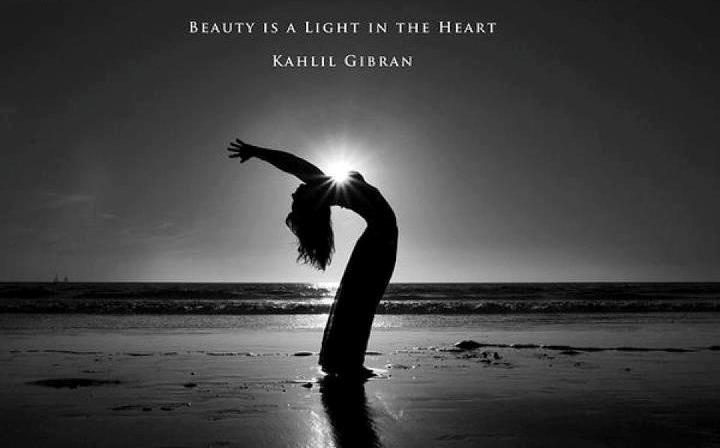 Kundalini Yoga is also known as the Yoga of Awareness. It is a dynamic, powerful tool that is designed to give you an experience of your soul. It combines breath, mudra, eye-focus, mantra, body locks, and postures to balance the glandular system, strengthen the nervous system, expand lung capacity, and purify the blood. It brings balance to the body, mind, and soul. 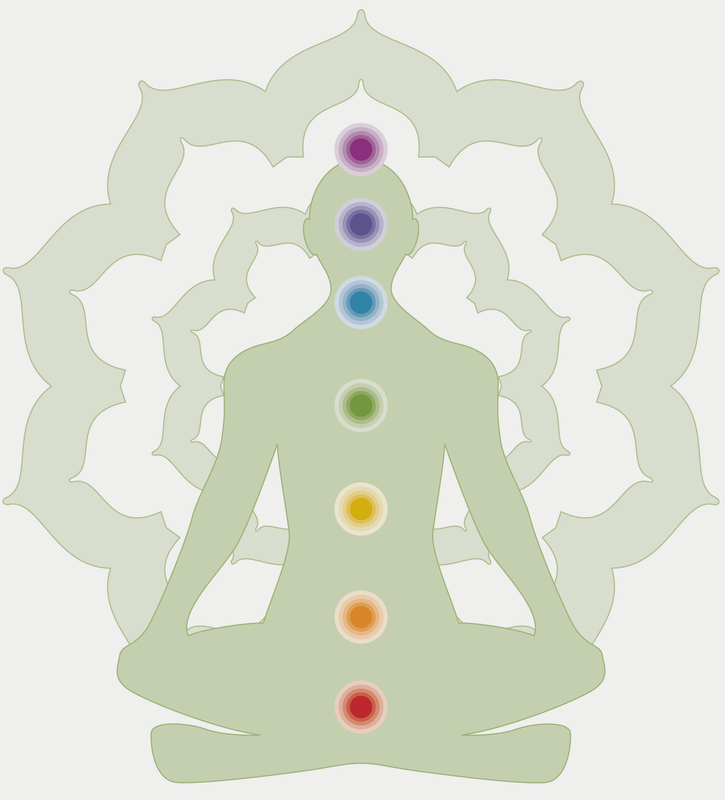 Chakras: Sanskrit for wheel; a spinning energy vortex in the subtle body. Although the human body has many of these energy centers, there are seven major chakras that are located along the spine. Each one is responsible for various physical, emotional and mental aspects of life. Kundalini Shakti: the coil of energy that lies at the base of the spine when in a dormant state and climbs up the spinal column during a kundalini experience. 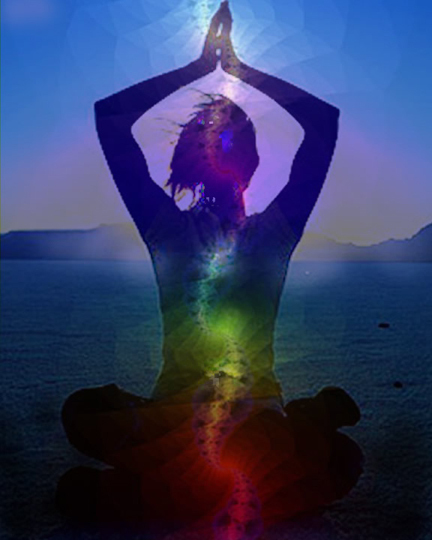 Kundalini Yoga is the practice of awakening this energy to help clear samskaras (imprints left on the subconscious mind by experience, which then color all of life, one’s nature, responses, states of mind, etc). Kundalini ascends only as high as the lowest open chakra. 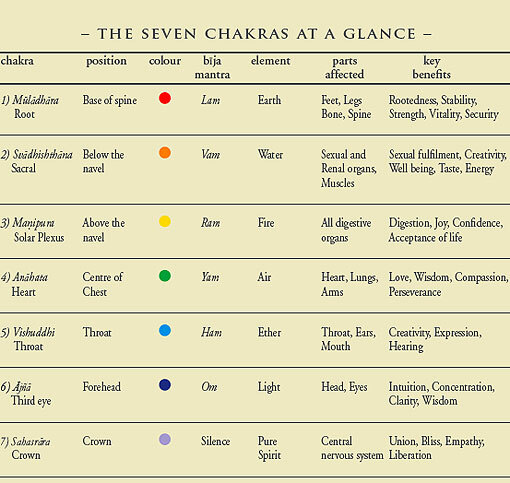 Balance in each of the seven chakras is key to opening up this path to allow the flow of this powerful energy. 7 Kundalini Yoga postures to clear the chakras. Week four of Yoga Tree Teacher Training: The Yoga Sutras and Alignment. In Patanjali’s Yoga Sutra, the eightfold path is called ashtanga, which means “eight limbs” (ashta=eight, anga=limb). These eight limbs act as guidelines on how to live a meaningful and purposeful life. They serve as a prescription for ethical conduct and self-discipline. They direct attention toward one’s health, and they help us to bring awareness to the spiritual aspects of our nature. We worked on Salamba Sarvangasana – Shoulderstand during one of our alignment days. 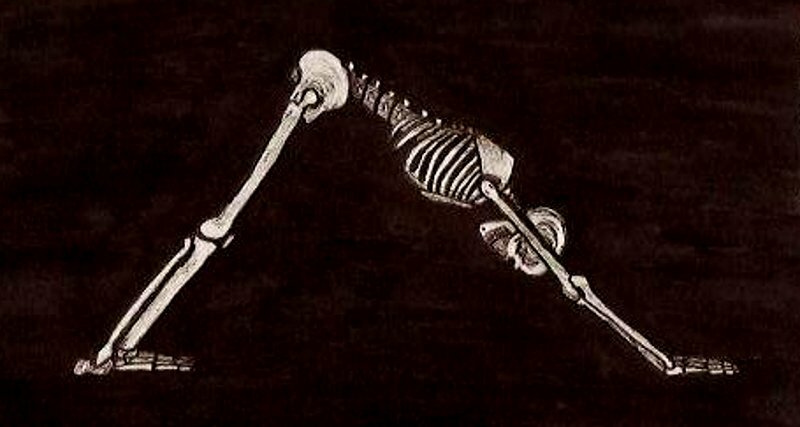 It is an inversion pose, which is an extremely important group of asanas. They reverse the action of gravity on the body; instead of everything being pulled towards the feet, the orientation shifts towards the head. Similarly, on the emotional levels, inverted asanas turn everything upside down, throwing a new light on old patterns of behavior and being. Inversions improve health, reduce anxiety, stress and increase self-confidence by stimulating mental power through concentration. It is believed that inversions also increase the blood supply to the scalp and nourishes the root of the hair, preventing the loss and graying of hair. I’ve always thought inversions were a little scary, but yoga is a way to face and eventually conquer our fears, so I’m going to incorporate this asana into my daily practice. 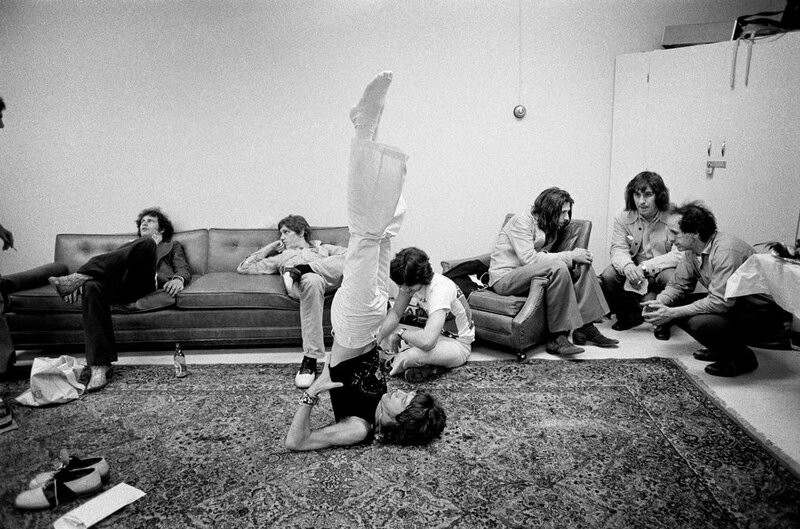 Mick backstage in Salamba Sarvangasana. Weekend 3 of Yoga Tree Teacher Training: Friday night lecture and the weekend afternoons were dedicated to alignment. 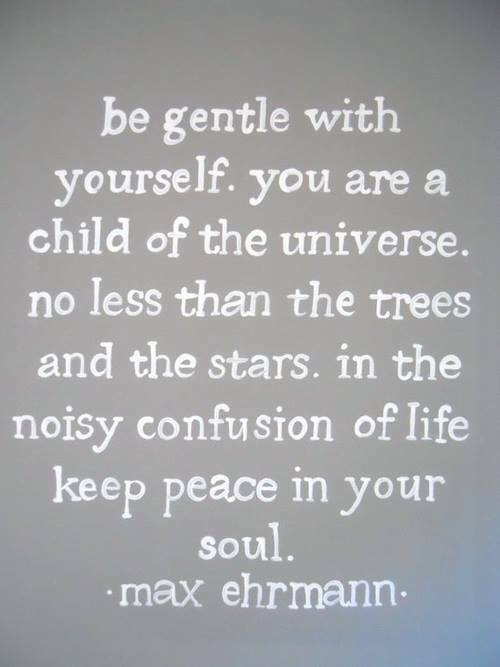 According to Ancient Indian Philosophy, there are three general states of mind, called gunas: tamas, rajas, and sattva. Tamas is the state of heaviness or lack of movement; metaphorically, being stuck . A tamasic mental state could be characterized by a person feeling depressed, lazy and sluggish too often. Rajas implies movement. A rajasic mental state signals anxiety, restlessness, agitation, and even panic. Sattva is the mental state of clarity, peace, and balance of the two. 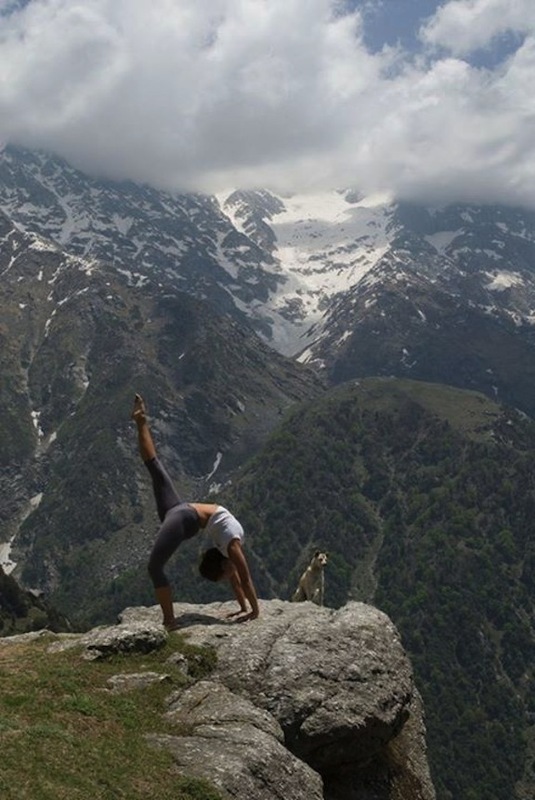 Typically, a more tamasic person naturally gravitates toward Yin or Restorative yoga practices for example, while the more rajasic person is drawn to Ashtanga, Bikram or Vinyasa style practices. If you are living with alopecia, most likely you are experiencing an extremely tamasic or a rajasic state of mind. Personally, my alopecia came with extreme anxiety and I naturally gravitated toward a rajasic yoga practice to cope – Bikram and Power Vinyasa. My six weeks of daily hot yoga was exactly what I needed to help let go of some of the trauma of alopecia. It alleviated my anxiousness, however, I realize now that my rajasic mind frame coupled with a rajasic practice is just what is most familiar to me. 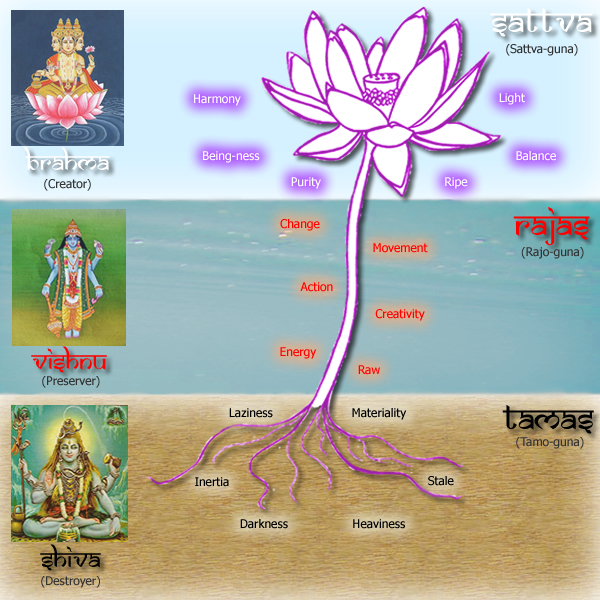 As true yogis we must practice to balance out the tamas and rajas to become more sattvic in body, mind and spirit. Our teacher suggested exploring the opposing styles as a direct counterpoint to our familiar practice. I took this direction and tried my first Yoga Nidra class last night and Yin Yoga class tonight. 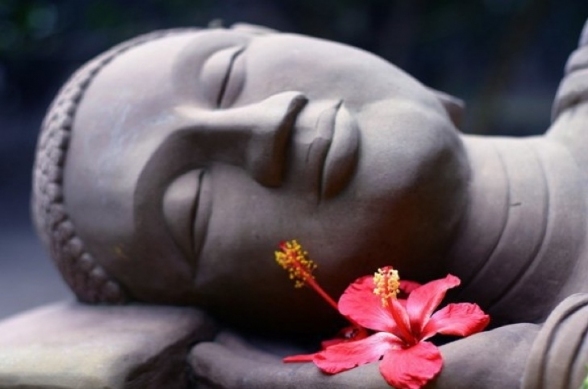 Yoga Nidra is an ancient form of meditation that takes you into the deepest levels of relaxation, while remaining fully aware. Also known as yogi sleep, it is a sleep-like state that creates a profound state of physical, mental and emotional relaxation. Yin Yoga is slow-paced as well, but with postures that are held for comparatively long periods of time. Yin Yoga poses apply moderate stress to the connective tissues—the tendons, fascia, and ligaments—with the aim of increasing circulation in the joints and improving flexibility. Yin Yoga poses are also designed to improve the flow of qi, the subtle energy said in Chinese medicine to run through the meridian pathways of the body. Improved flow of qi is said to improve organ health, immunity, and emotional well-being. 40 days of Bikram/Baptiste yoga complete! 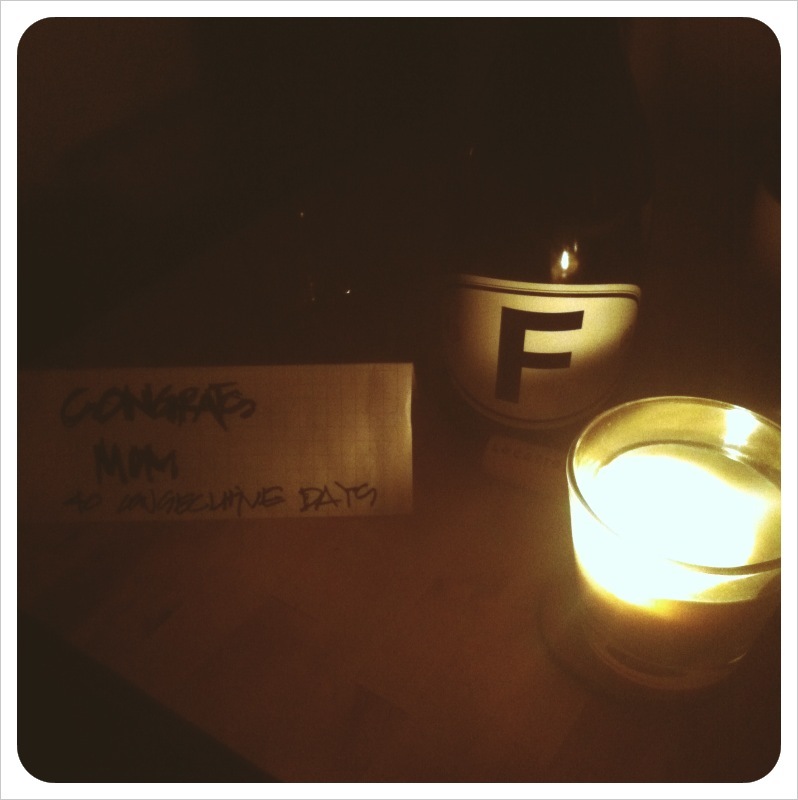 When I walked in the door tonight, I found this sweet note and bottle of wine from my man and babies:) They make me smile. Yoga makes me smile. And I’m learning to smile about alopecia… as I’ve mentioned before, I started this blog as a way to cope and to document my journey of loss and growth. One small part of the physical body may be gone temporarily, but I know now that I haven’t lost anything. As difficult as this can be at times, I know this experience is only about growth… forty days ago I did not have this outlook.